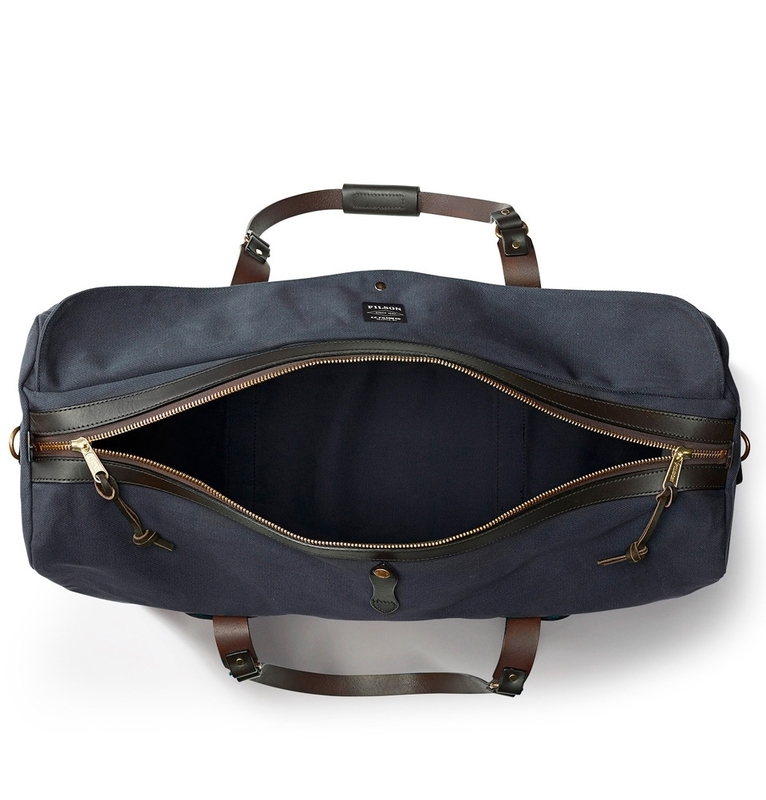 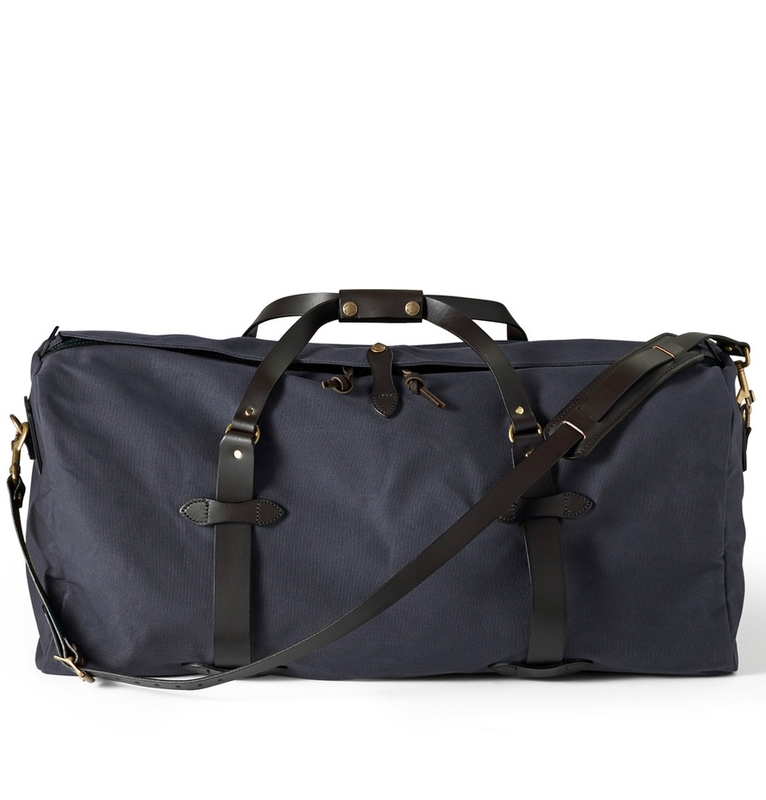 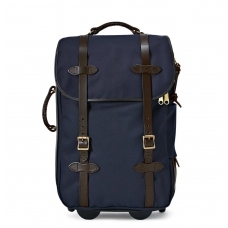 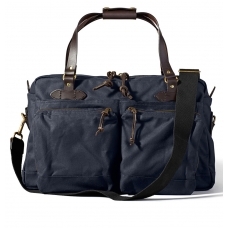 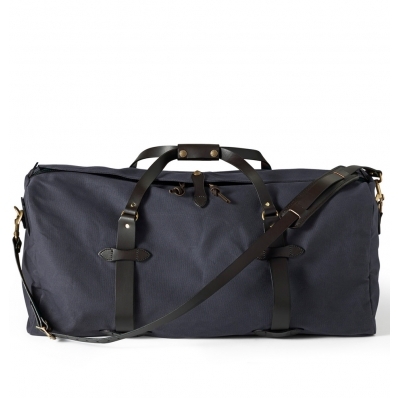 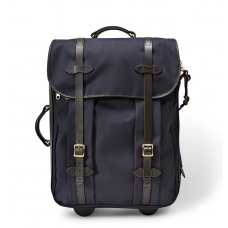 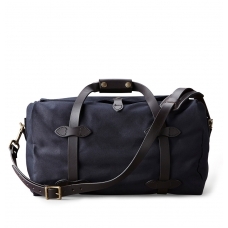 This water-repellent, abrasion-resistant large Duffle Navy is your spacious, heavy-duty travel companion that develops patina with use. 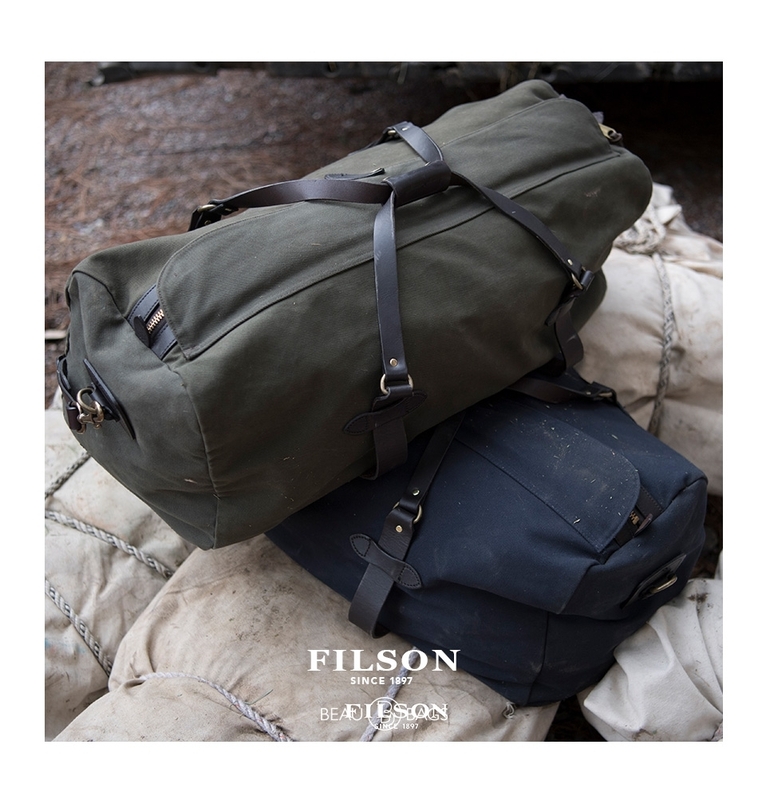 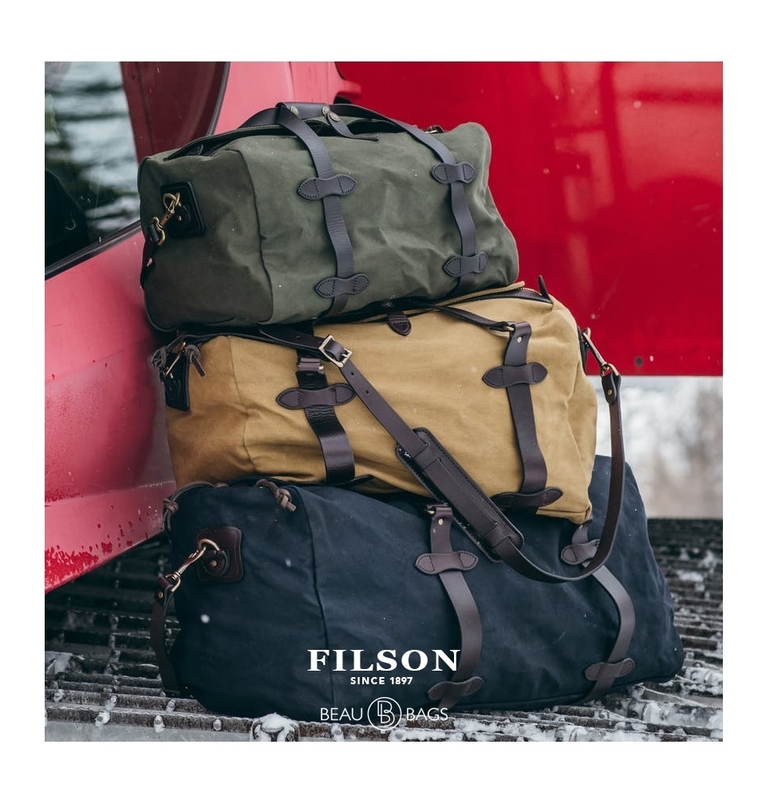 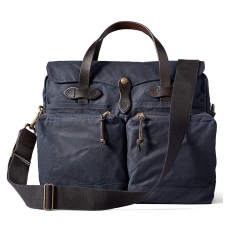 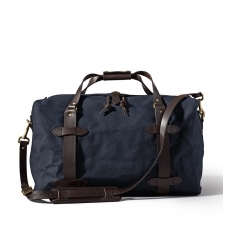 The Filson Large Duffle Navy is made of Filson's water-repellent, abrasion-resistant Rugged Twill for years of dependable use. 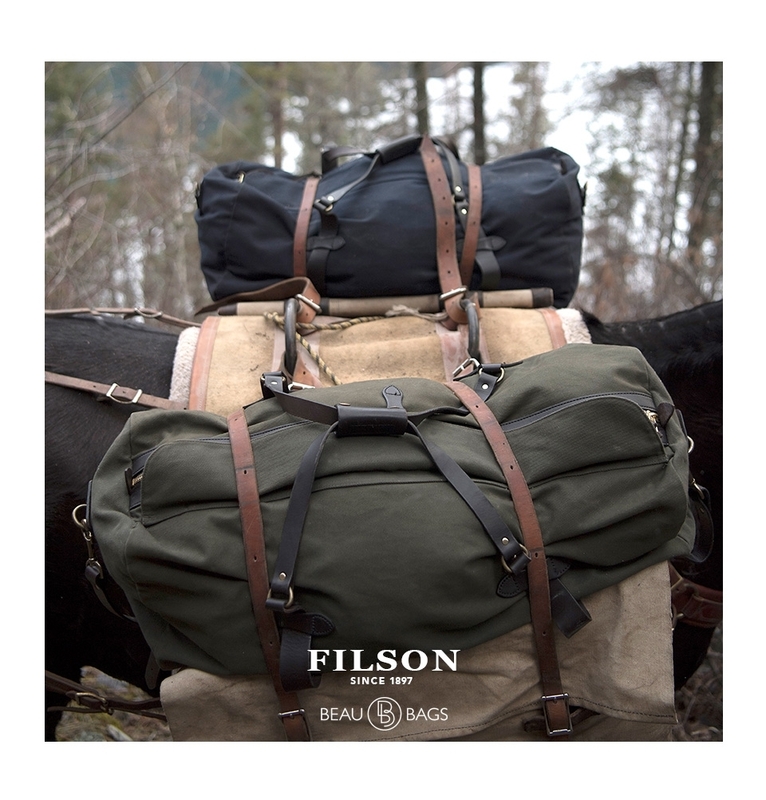 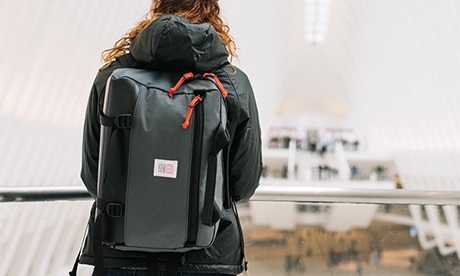 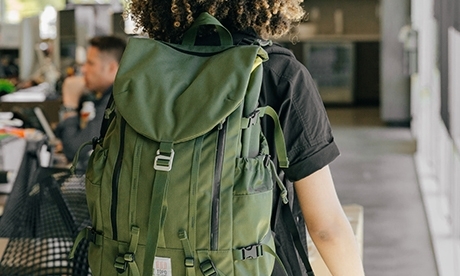 Saddle-grade Bridle Leather carry straps go all the way around the bag to haul heavy gear. 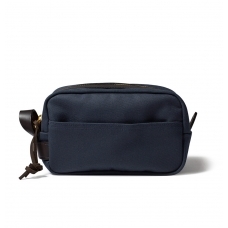 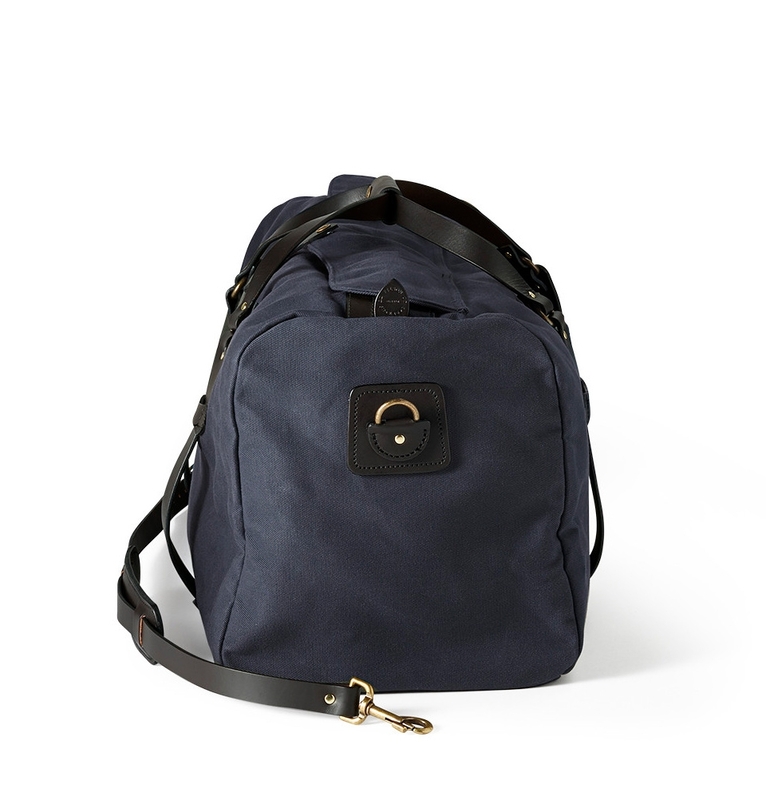 The adjustable, removable Bridle Leather shoulder strap allows for shoulder or cross-body messenger carry.